Donuts! More donuts! Mmm, donuts! Sugarcomb Lake is abuzz with excitement. A new donut shop is opening! 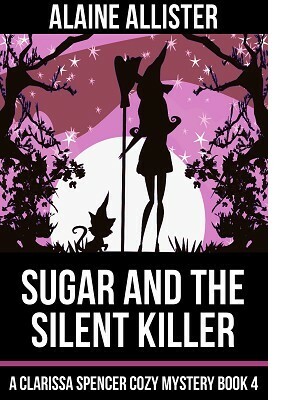 Clarissa Spencer and her insatiable sweet tooth are thrilled. But then the shop owner turns up dead. While the rest of the town gossips and speculates, Clarissa focuses on finding the killer. At the same time, she has to keep her long-distance relationship alive, try to develop her magic skills and go to battle with her infuriatingly bratty cat. No wonder she needs a sugar fix!